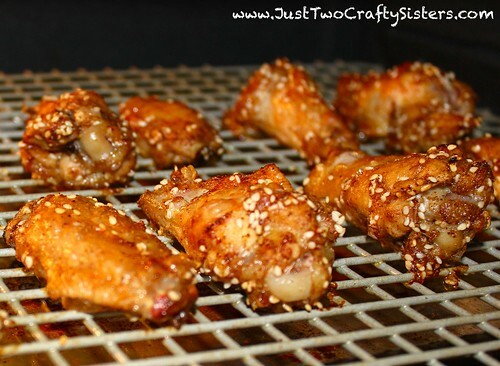 This mealtime monday is all about wings; crispy baked asian chicken wings. I found the recipe a while back on Pinterest from Just a Taste and we finally got around to giving it a try. 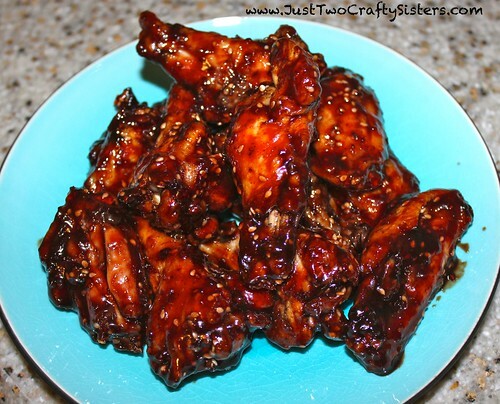 I love chicken wings and 99% of the time we do buffalo wings with Frank’s Red Hot. YUM! So this was a nice change of pace. 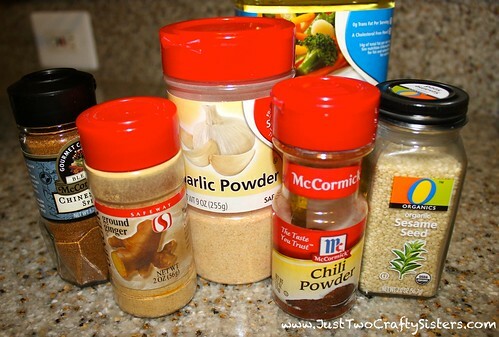 *I am not a fan of Chinese 5-Spice because of the Anise in it, so I made my own blend of spices including a little 5-spice, ginger, garlic powder, chili powder and sesame seeds. I did not measure, just kept adding a dash here and there until I thought it looked good. 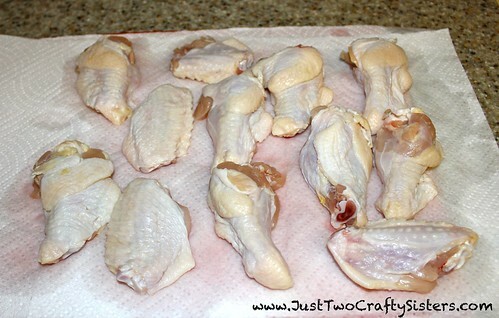 Starting off with this recipe, preheat your oven to 400º F. Next wash and pat dry your chicken wings. 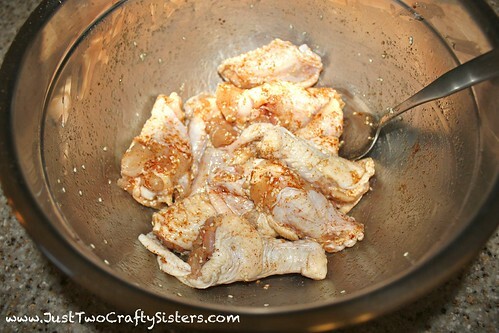 In a mixing bowl, combine the chicken wings, vegetable oil and your spice mixture. Stir to coat evenly. Space the wings out over an oven safe rack. I used a baking sheet lined with foil under by cookie cooling grate. 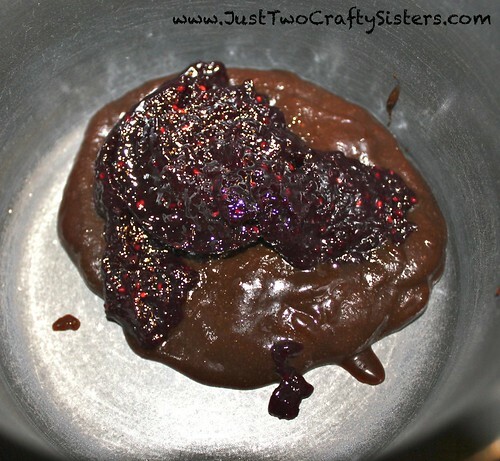 It worked perfectly and the foil made clean up of the baking sheet easy. The cookie grate took more work to get clean with the chicken cooked on it. Bake for 45-50 minutes (or until fully cooked), rotating the pan halfway through. 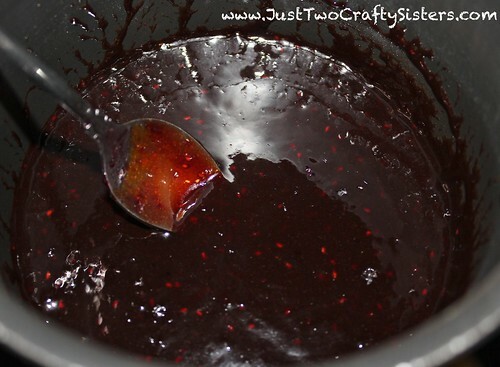 In a saucepan over medium heat, combine the blackberry jam and hoisin sauce. Whisk together until fully melted and warm through. 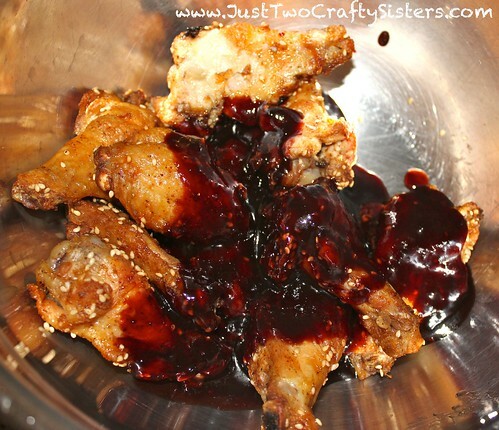 Toss your crispy wings and the sauce together to evenly coat.